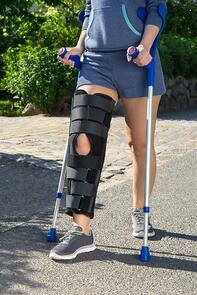 How Will Your Mobility be Impacted by Joint Replacement Surgery? Joint replacement surgery is an option considered for patients for whom joint degeneration has caused significant quality of life issues, including chronic pain, poor joint function, and limited mobility. It is, as a rule, recommended only when non-surgical options fail to provide adequate relief for these issues. If you have been living with this sort of joint dysfunction and your medical team has recommended joint replacement, chances are you're wondering just how your mobility will be impacted by this procedure. For the vast majority of patients, these procedures impact mobility for the better. Once recovery and rehabilitation is complete, patients typically experience a substantial increase in mobility and a significant decrease in joint pain. However, it is important to be aware that joint replacement surgery is not a quick fix, and realizing those gains to the fullest will take anywhere from three to twelve months for the average hip or knee replacement patient. Here, we'll go over what you can expect in terms of mobility as you work to recover and rehabilitate after your procedure. Immediately after your joint replacement procedure, your medical team will place a number of limitations on your level of mobility—restrictions that you will need to observe carefully to ensure proper healing and prevent damage to your new joint. You will begin working with a physical therapist almost immediately after surgery, generally within the first 24 hours, to aid in strengthening muscles surrounding your new joint and regaining joint function. Mobility will be quite limited at this stage and typically encouraged only with the support and guidance of medical and therapy staff. However, over the three to five days you can expect to stay in the hospital, activity levels will be gradually increased. Once you can manage light activities on your own—with the assistance of your walker—you will be discharged from the hospital. After discharge, rehabilitation therapy should continue for a minimum of two months. During this time, your rehabilitation team will work to help you gradually increase strength, function, and flexibility in your new joint. Often, patients are referred to a short term rehab center for a short period after hospital discharge since these programs offer intensive therapy and care that can promote faster, more successful recovery and rehabilitation. With solid rehabilitation therapy and a commitment to success, the average patient can expect to be moving around quite well by three weeks after joint replacement surgery, and to have graduated from a walker to crutches or a cane. By four to six weeks after surgery, you can expect to see improved flexibility and strength in your new joint. You should be able to walk greater distances—as much as a half mile—without fatigue and discomfort and be able to begin weaning away from assistive devices. Most patients are able to resume driving by seven to ten weeks after joint replacement surgery, and many are able to return to work as well. Walking the length of a couple of city blocks without assistive devices is common. While most are able to resume normal daily activities at this point and have achieved significant reductions in pain levels, complete recovery and maximum mobility levels may take as long as twelve months after surgery. Over those months, you can expect to be able to—with the assistance and approval of your rehabilitation team—resume low-impact activities and exercise, such golf, swimming, or hiking, for instance, gradually getting back to the mobility and activity levels you were accustomed to before joint disease or injury cramped your style.